Description: Ethan Hawke and Laurence Fishburne lead an all-star cast including John Leguizamo, Ja Rule and Drea de Matteo in the explosive action-packed thriller Assault on Precinct 13. Run-down Precinct 13 is about to close its doors forever. But everything changes when some of Detroit's most lethal prisoners arrive. Soon the only thing more dangerous than the criminals on the inside is the rogue gang on the outside. 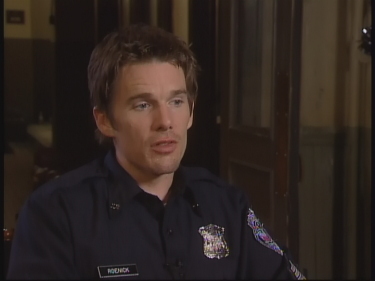 To survive the night two men on opposite sides of the law will have to work together to battle an enemy who doesn't follow the code of cop or criminal. Directed by Jean-Francois Richet. What is the world coming to when the film community is remaking John Carpenter movies? Admittedly, Assault on Precinct 13 isn't the best example of Carpenter's expert craftsmanship, but it was the picture that got him noticed, and that notice enabled him to subsequently film Halloween, Escape from New York, and a chilling re-make of The Thing. Nevertheless, in part because of the non-existent budget Carpenter was working with and in part because the original was kind of cheesy, there was room for improvement. 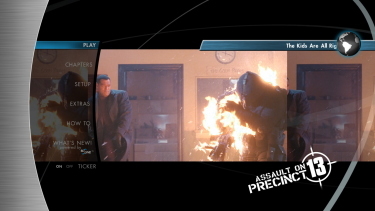 The 2005 edition of the film takes advantage of that gap, and the result is an engaging action thriller. The new Assault on Precinct 13 takes Carpenter's idea (which was, in turn, adapted from the 1959 Western, Rio Bravo) and re-imagines it for the 2000s. The result boasts better acting, slicker direction, and less laughable dialogue, all without a noticeable reduction in tension and suspense. Although fans of the original will probably view this statement as heresy, I will admit to liking the 2005 movie better than its 1976 ancestor. 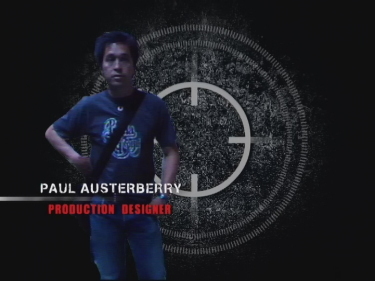 The 2005 remake of Assault on Precinct 13 came out in HD-DVD all the way back in May 2006, HERE. While this has the same VC-1 encode I don't doubt that it is the same transfer, or looks quite similar enough, although the complete disc size slightly exceeds the capacity of the now defunct format. The 'past' initial sequence is set in a golden hue perhaps harkening to a remembered flashback and the rest of the feature seems to have heavy blues and some turquoise interspersed in the heavy darkness. It is dual-layered and progressive with some notable style and probably doesn't deviate much from the way it looked theatrically. The camera is fluid lending to attempted realism - to some degree. There is not much noise at all. Any softness is most probably inherent. The Blu-ray looks un-manipulated and I don't think it will ever appear better for home viewing. 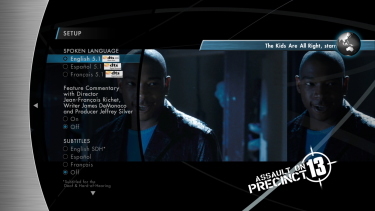 The DTS-HD Master 5.1 at 3937 kbps is a barn-burner for the heavy gunfire sequences... whihc are abundant. I tapped the volume control down a number of times. Right from the first scene - a flashback - guns pop like canons. It actually may be too aggressive in spots. Graeme Revell's original score tries to keeps up with the dynamic spurts of action but is often lost in the shuffle. Suffice to say there is depth and range to spare. There are optional subtitles and my Momitsu has identified it as being a region FREE disc playable on Blu-ray machines worldwide. For those who owned the HD-DVD or the original DVD - there doesn't appear to be anything new at all. There are 20 minutes on 4 production, surface, featurettes - all in SD as are all video extras. 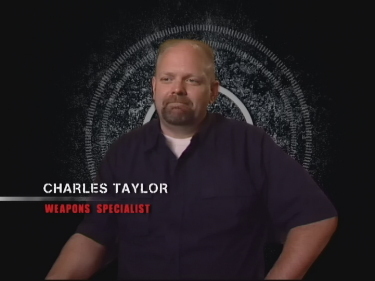 Next is a slightly more in-depth piece running a dozen minutes entitled - Caught in the Crosshairs: Behind the Scenes on Assault on Precinct 13. These have various cast and crew giving soundbytes. There are six deleted scenes and listed last in the menu is the decent audio commentary with director Richet, screenwriter James Demonaco and producer Jeffrey Silver. Despite the heavy French accent of the director it wasn't hard deciphering the details explored by all participants. There was some passion about this production and I was keen to find out new details. Of all the supplements - this is the one to explore. 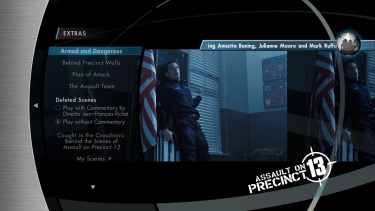 I watched Assault on Precinct 13 knowing very little about the film. In my initial viewing I moderately liked it and waited almost a full week before starting this Blu-ray review. The film grew on me to the extent that I'd actually like to watch it again. If I have seen Carpenter's original (I must have at some point - although don't see the DVD or Blu-ray in my collection) it obviously didn't make much impact but there are many things about this remake that I found... enjoyable. The story sets up a classic dynamic of good vs. bad - and then muddies that line touching on some, justified, paranoia by the characters. We get roped into that suspense. The snowed-in precinct, on New Year's eve, with skeleton staff creates both a protective vs. claustrophobic aura. 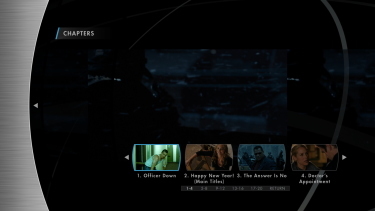 Assault on Precinct 13 is reasonably brutal but not in a gratuitous way. I've always liked Hawke and Fishburne. Anyway, I watched some other new BD titles and this was the one I decided to review - so you can take that for what it's worth. 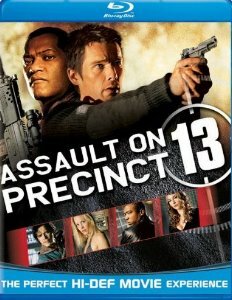 I was genuinely entertained by Assault on Precinct 13. The Blu-ray hasn't had much effort put into it beyond the original HD release but it still carries some 1080P impact - especially with the audio. If this sounds like something you might enjoy - this disc may be worth the indulgence. It is plenty of 'surface' appeal with the smell of 'cheese' in the air but it never fully succumbs. It holds it's own and I think it is well made with excellent performances. Give it a try.